Rubber Investment Mixing Bowl 135mm. Wax Casting Jeweller Dentist Cast. 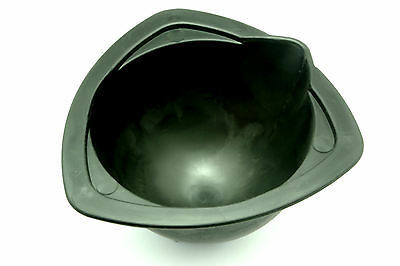 135mm wide flexible rubber mixing bowl. Depth 3.5", choose from the drop down menu the quantity you need. Manufactured designed and tooled here in Fleckney, Leicestershire by our parent company Linic Products Ltd.
Rubber investment powder mixing bowl small lost wax casting jeweller, dentist, perfect for centrifugal casting and lost wax casting. Brilliant for loads of jobs.